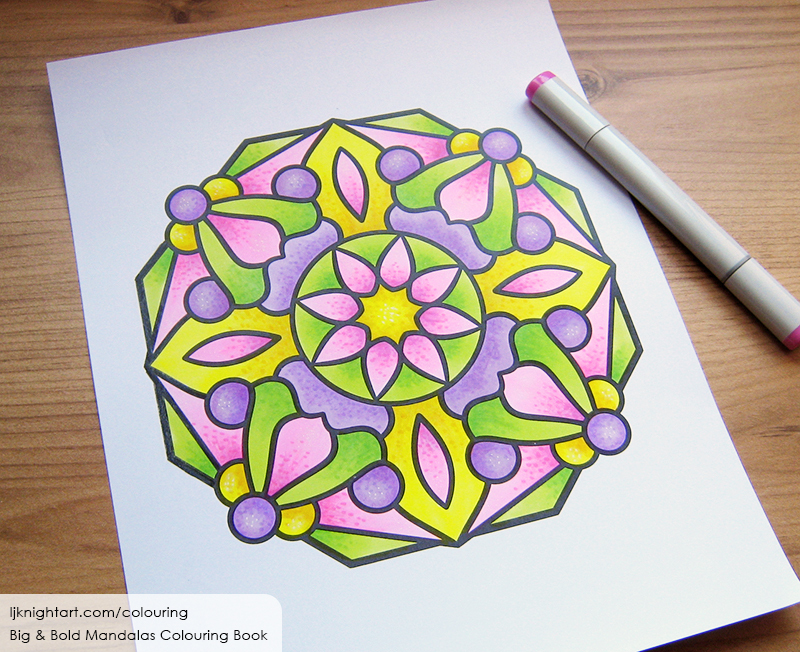 I’ve added a new gallery, with coloured pages from my colouring books – click here to see it. I like to colour my own designs, especially the mandalas and patterns, as they’re so relaxing 🙂 Sometimes I just keep it simple, and other times I make more of an effort – there’s really no wrong way to colour, so long as you’re having fun. I have more older pages to add over the next few days, then will start posting new stuff again. This entry was posted in Books & Colouring, Updates and tagged Coloured Pages.